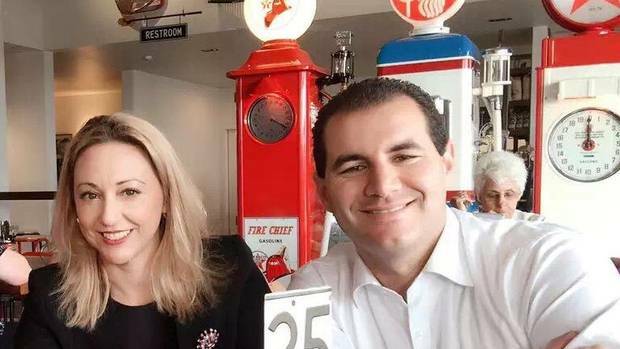 National MP Sarah Dowie has spoken to media for the first time since being named by police in relation to a text sent from her phone to Jamie-Lee Ross. Speaking to reporters before National's caucus retreat this morning, Dowie said she would not stand down while the investigation was underway. "I am committed to the people of Invercargill, just as I always have [been]." She would not comment on her affair with Ross. "If there is a police investigation underway, it would be inappropriate for me to comment." Late last month, the police revealed they were investigating a text message, allegedly sent from Dowie's phone to Ross which included the words "you deserve to die". Today is the first time Dowie has spoken publicly, after being named by police in relation to the text. The text message raised questions over whether there was a breach of the Harmful Digital Communications Act – the law which regulated digital communications, including text messages, making it illegal to urge someone to self-harm. Ross had previously named Dowie as one of the women with whom he had an extra-marital relationship with. Meanwhile. National MP Maggie Barry said Jami-Lee Ross would not be a distraction at the caucus meeting. "Who's that? He's irrelevant. I won't be mentioning his name," Barry told reporters on her way into the Novotel. She said she supported Dowie and did not believe she should stand down while police investigated the text.